At CoreCentric Solutions, our mission is simple: relentlessly pursue solutions that help our clients grow their business, strengthen their brand and increase customer satisfaction. We do this through the recovery, repair and return to market of appliances, appliance parts and consumer goods. Inside our global headquarters just outside Chicago, Illinois, more than 200 passionate CoreCentric team members make it all happen. Since our start in 1995, we have applied the rigors of engineering to the repair and remanufacture of appliances and appliance parts. As an ISO-9001 certified company, we have developed detailed, proven processes to restore the component parts that keep our world running. We’ve also applied the rigors of engineering to the business of product returns management. We help some of the largest original equipment manufacturers (OEMs) in the world implement effective reverse logistics programs that increase value capture while maintaining brand standards. Revolutionizing the Three R’s: Recover. Repair. Return. With nearly 25 years of expertise in product renewal and reverse logistics, CoreCentric can help capture your hidden value, increase customer satisfaction and strengthen your business. Innovative engineers remake parts better than when they first left the factory. OEMs, parts wholesalers and service technicians count on us for the hard-to-find components that we rebuild to the highest quality standards. Our industry-leading repair service teams precisely fix broken parts and quickly get them back to you, usually within two days. We investigate why parts fail, look for potential failures and fix those too. No wonder we have a 98% repair success rate. We turn manufacturers’ and retailers’ cost centers into profit centers by managing every important detail of their product returns. We oversee the time-consuming returns process for clients from start to finish, unlocking a product’s true worth. Gathering, fixing and storing unused parts and appliances is a partnership with our customers. Our 350,000-square-foot warehouse provides ample room for an inventory of more than eight million restored parts to keep our clients’ shelves stocked. “No longer available” is no longer a problem. We are ISO 9001-certified and recognized by the ANSI for following the highest remanufacturing and repair standards in the industry. Every part goes through a rigorous and repeatable process to guarantee that parts meet or exceed OEM specifications. 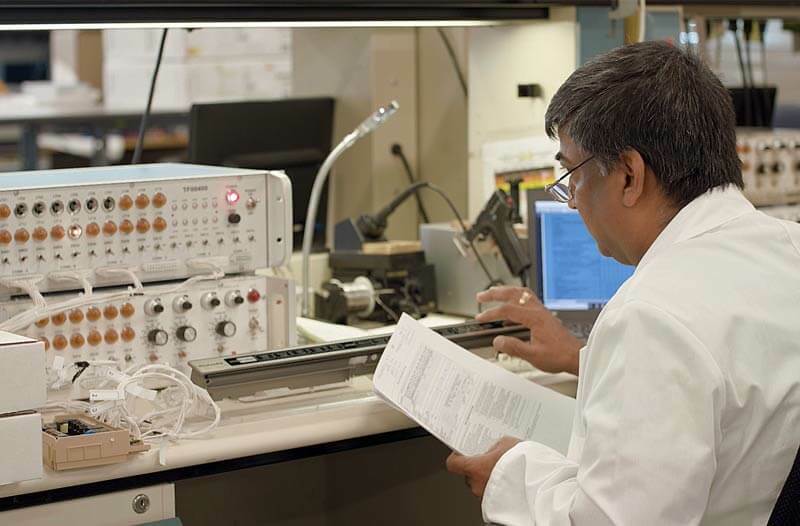 Our teams of creative engineers and technical personnel have developed comprehensive reverse engineering capabilities and proprietary, full-functional testing processes. This gives you the highest quality at the lowest cost. It’s the CoreCentric Solutions difference you have come to expect.